As mentioned in the previous article, ICTO has launched the new myUM Portal. Most of the services links are placed on the single website for easy access. 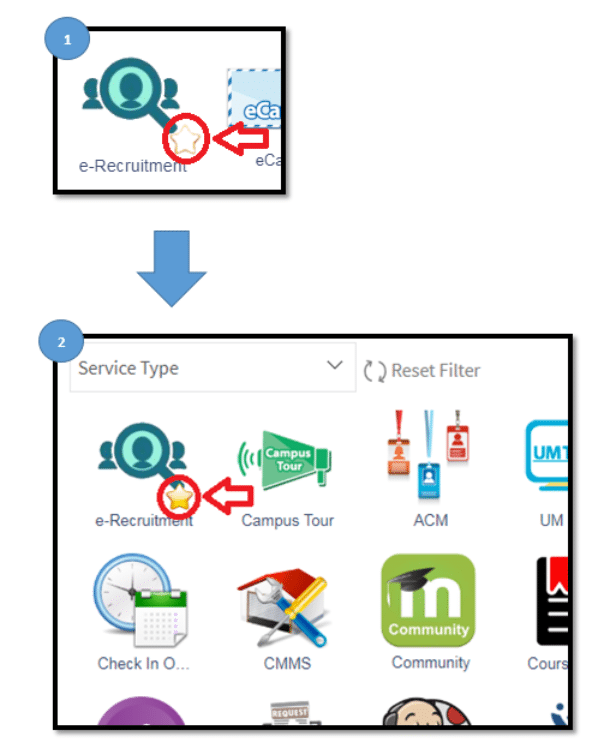 We would like to share some tips about re-arranging the order of the frequently used applications here. Question: There are so many applications on myUM Portal, can I put my favorite one(s) at the top? Answer: Yes, you can. Simply click on the star of that icon, it will be rearranged to the top of the list. Question: Is there any automated ordering based on the frequency of use? Answer: Yes, the arrangement of application icons will be automatically sorted by “My Favorites” and then according to the usage frequency of the application (s).